Brisbane's Arc + Family create bold designer pots that are the perfect addition to any home. Launched in 2014 and with a store in Fortitude Valley, their unique pots are painted by hand. Ash and Ben Keily are the husband and wife team behind Arc + Family, and both have always had creativity in their blood. With everything from pink geometric and metallic gold drip, to classic black and white, there is a pot to suit every taste. In addition to their pots, they sell hand made plant stands and cactus plants. 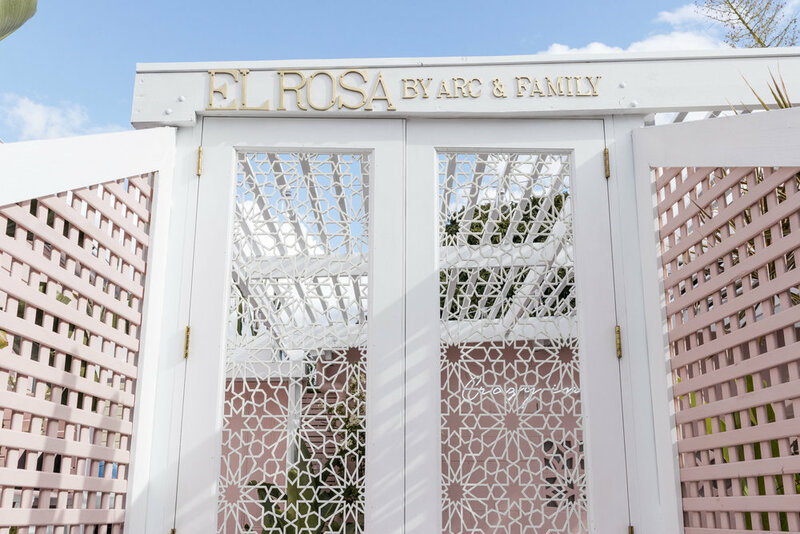 Plus they have a beautiful very pink space in the courtyard of their Fortitude Valley store - El' Rosa. The area is available for event hire and serves up coffee Monday to Friday.